The art of welding has been around for thousands of years. Welded artifacts from the Bronze Age and the Iron Age are on display at various museums and it is clear that welders from all ages and walks of life have contributed to welding and helped make it the craft that it is today. However, there are a few people who stand out as pioneers in welding. While these individuals pursued other jobs and interests aside from welding, their accomplishments make them notable figures in welding. Baron August de Méritens was a French electrical engineer who lived in the 1800s. He was the first person to figure out how to use the heat generated by arc welding to weld lead plates onto storage batteries. In 1881, he acquired a French patent for the first arc welding process. He also developed welding equipment with an enclosed hood and fume extraction pipe to control the dangerous lead oxide fumes. This was the beginning of the commonly used carbon arc welding technique, even though it was the baron’s student Nikolay Benardos who went on to claim a patent for creating the first electrode holder. Nikolay Benardos was a prolific eighteenth century Russian inventor who is credited with two hundred inventions in the realm of electrical engineering. He not only invented and popularized electric welding, but also produced a special electric welding battery to supply the high current needed for electric welding jobs. 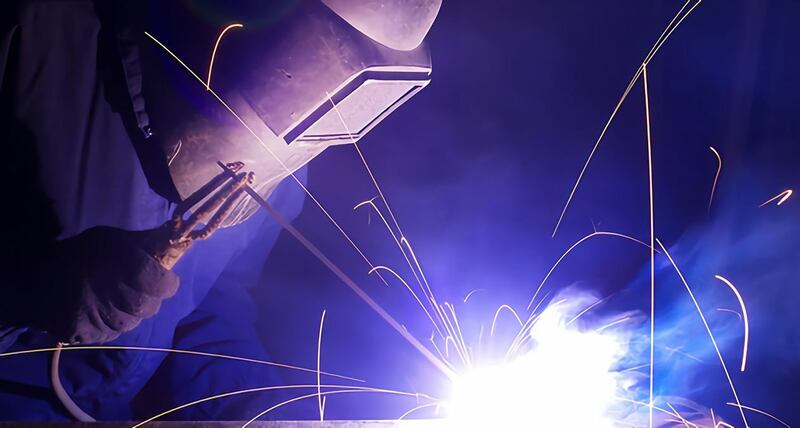 Other welding inventions include welding with an indirect arc, welding in a gas stream, arc cutting both on land and under water, as well as carbon arc welding. Carbon arc welding become particularly popular in the 1890s and early 1900s as it enabled individuals to weld both iron and lead. Nikolay Slavyanov was another Russian inventor who lived around the same time as Nikolay Benardos. Slavyanov invented shielded arc welding about eight years after Benardos had introduced carbon arc welding. Shielded arc welding is currently one of the most popular welding techniques in the world and is commonly used for maintenance and repair, the construction of heavy steel structures, and industrial fabrication. It is effective when working with iron, different types of steel, aluminum, as well as nickel and copper alloys. Julio Gonzalez was a Spanish sculptor who was born in the late 1800s. While he was not the first artist to use welding to create metallic sculptures, he stood out not only because he specialized in artistic welding, but also because he greatly influenced other famous sculptors who showed interest in this field. Julio Gonzalez worked extensively with Pablo Picasso, offering him welder training and collaborating with him to create various sculptures, including “La Tete Painte en Fer.” Gonzalez is considered a leading artist from his time period. Over one hundred of Julio Gonzalez’ sculptures are currently on display in Valencia’s Museum of Modern Art. David Smith was an Abstract Expressionist American sculptor and painter who was born in the early 1900s. He is known for creating sculptures using various styles of welding. His earlier works were created using an oxyacetylene torch, but later he mastered the art of welding with an electric arc welder. He applied various techniques for visual effects that resembled paintings, and crafted his sculptures using steel, cast bronze, and other metals. He was also an accomplished welder who worked at an auto-manufacturing factory and as a locomotive welder at different points in his life. Welding has a long and fascinating history and it was not uncommon for famous welders to be influenced by those who had gone before them. Even so, this list of famous welders is far from complete. To this day, welders across the world are working to advance this craft by creating new techniques, adapting old ones to lower costs, improving quality and consistency, and creating new works of art. If you are interested in learning this trade, check out the welding program at TWS, and contact us for more information.